"Theresa May is discovering why David Cameron really held the referendum. It wasn’t to placate his own Eurosceptic MPs; instead it was to stop Conservative voters defecting to pro-Brexit parties. That process seems to have restarted and the Conservatives are beginning to suffer,"
Support among voters for the Conservatives has plummeted, according to analysis of a number of recent surveys. The Tories could lose as many as 59 seats if a general election was to be called, Electoral Calculus research for The Sunday Telegraph suggests. It is just one of the surveys pointing in a similar direction, with two others across the weekend showing a collapse in support for the government in the wake of the delay to Brexit. They both suggest that Tory popularity is at its lowest for five years. Information gathered as part of the Electoral Calculus poll of polls between April 2 and April 11 predicts that Labour could be the party with the biggest representation in the Commons. In the event of an election, it would have 296 seats compared with just 259 for the Conservatives. A general election would not just be between the Conservatives and Labour, with a number of other parties able to make an impact on the outcome by attracting proportions of the vote. As of this week, leave-supporting Tories could be tempted to back a new party set up by Nigel Farage with the explicit aim of delivering on Brexit. Both Iain Duncan Smith, former Conservative leader, and Amber Rudd, the work and pensions secretary, could lose their seats, according to the analysis. Sir John Curtice, president of the British Polling Council, wrote in The Telegraph: "The Conservatives' failure so far to secure Britain's withdrawal from the European Union is at risk of costing them dearly. "[It] would not be enough to give Jeremy Corbyn a Commons majority - but it could be enough to propel him into Downing Street if he could secure the support of the SNP [Scottish National Party] in a parliament that would be even more badly hung than the current chamber." 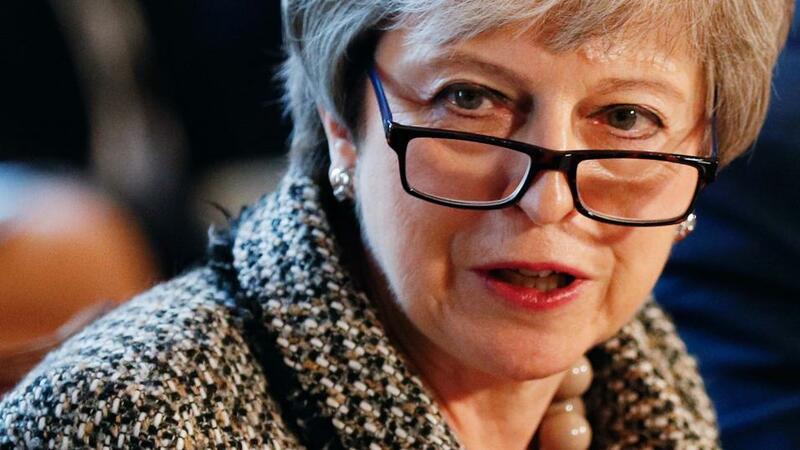 Prime minister Theresa May's inability to find an acceptable solution to leave the EU on March 29 has been seen as a failure by many. Mr Duncan Smith spoke out on the issue, calling it a "disaster" and telling Sky that poll ratings starting to crash as soon as the deadline was missed. Martin Baxter, founder of Electoral Calculus, said: "Theresa May is discovering why David Cameron really held the referendum. It wasn't to placate his own eurosceptic MPs; instead it was to stop Conservative voters defecting to pro-Brexit parties. That process seems to have restarted and the Conservatives are beginning to suffer." Another poll, this time from Opinium, put the Tories seven points behind Labour, with support for the Conservatives having dropped six points in just two weeks. This means they stand at 29 per cent, having the worst outcome in the survey since 2014. In comparison, the poll predicted that Jeremy Corbyn's party has only moved one point, up to 36 per cent, since March 29th. Meanwhile, YouGov concluded that Mrs May's party had the fewest number of supporters it has enjoyed for six years. The research, which was commissioned for The Times, suggested a general election would see the Tories getting 28 per cent of the vote. This is four points lower than where the Conservatives stood at the beginning of the month. Looking towards the other parties, YouGov put Labour up one point to 32 per cent and the Lib Dems on 11 per cent. Mr Farage's new project, the Brexit Party, edged ahead of Ukip at eight per cent compared to six per cent. General elections can have a positive impact on the stock market, but only when it is fairly clear there will be an outright winner. Despite a number of polls putting Labour ahead at present, a snap election would mean more uncertainty for the UK, so would therefore likely see the markets retreating.